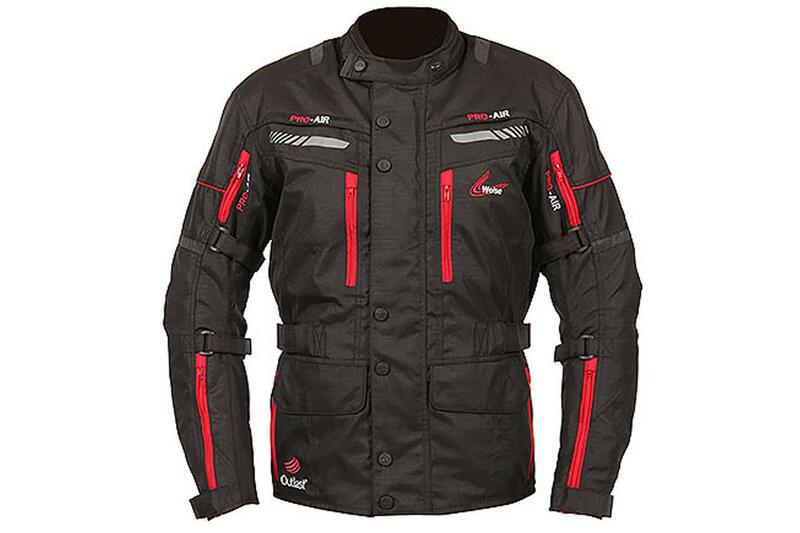 I tested this Weise Houston motorcycle jacket (RRP £159.99) for six weeks, covering 1000 miles. I’m not quite sure why each vent needs to be labelled PRO-AIR in huge letters! There’s also a decent level of protection in the shoulders, elbows and for your back, too. It’s quite a heavy jacket and this can make it feel a little uncomfortable. The adjustment straps on the arms are in an awkward position and dig in when you bend your arms. The outmost layer of material is quite thin, so I’m not sure just how it’d stand up to abrasion in a slide.